The online gambling market has recently become so competitive that an online casino that has stayed in the business for almost twenty years is a remarkable and respectable achievement. However, it’s not uncommon for an online casino to completely lose touch with the desires of a modern casino player that their game mechanics become so dated that they no longer can compete with more modern casinos. 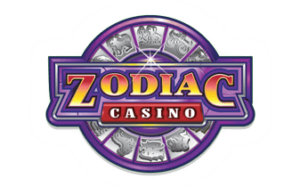 This is the first thing we looked into with our Jackpot City Casino review, since we believe that our readers are worthy of top-notch offers only. Luckily, as this review shows, the Jackpot City Casino is far from being outdated, despite having started in 1998. The site of Jackpot City Casino is available in nearly every country in the world, although American players have no access to the game. With 23 languages offered by the site, every English and French-speaking Canadian will be able to enjoy everything this casino has to offer. As soon as you visit the homepage, you are greeted by a Las Vegas-themed design. Inside you will find over 600 online games that come from Microgaming, which promises excellent quality of the software. What we liked the most about this gambling service is their outstanding customer support, complete security, and a wide range of platforms you can play on, which includes any game being available on mobile and tablets. With this amount of advantages it’s not surprising that the Jackpot City Casino is among the most popular gambling services around the globe. Find out more about it from our detailed review. A brief look at any game offered by the site reveals that they all come from Microgaming, which is great news for fans of online gambling, as they will find all familiar titles of the games gathered in one place. The most popular games to play are, of course, the spinning reels, although other beloved gambling titles like video poker and table games present lots of other opportunities to play and win. One of the biggest advantages of Jackpot City Casino is that it’s readily available on any device and doesn’t need to be downloaded. Whether you want to play any game on PC, Mac, or mobile platforms from Apple, Android and Windows, you can easily do it, and even change between devices as you please. Plus, if you like, you can get a downloadable app, which has a wider selection of games and is known as the deluxe casino. No matter which platform you choose for playing, you will see the familiar design and playing options. With the help of regular updates you will be sure not to miss a single new game released online. As for withdrawal time, most players can expect the paying out to be finished in up to 48 hours, although players with VIP status can take advantage of even faster withdrawals. As a truly international gambling service, the Jackpot City Casino has not only multiple languages to choose from, but also a number of currencies, which, of course, includes Canadian Dollar that you can select as your preferred currency when you’re signing up for the service. In order to become a great online casino, a gambling service needs to offer a wide range of opportunities for playing, and that’s exactly what you get with the Jackpot City Casino, as their mobile gaming offers work on any available platform. You can expect the games to look the same, no matter which platform you go for, and, unless your mobile phone is super old, it will easily run any game without any lags and bugs. Mobile blackjack, mobile video poker, mobile slots, and lots of other mobile games are just some of the titles you can play using nothing but your smartphone. You can also download a number of apps to get an even better betting experience. The Jackpot City online casino for mobile features a cashier service, where players can deposit or withdraw money. Any of your questions will be happily answered by the mobile support service. After a perfectly smooth launch of Jackpot City Casino on your desktop computer or mobile device, you will get instant access to any game of the 600+ titles available to play online. If you’ve already played some casino games, you probably have a couple of favorite games. There is a good chance that you will find either the same game or something very close in the huge selection of roulette, video poker, slot, and blackjack games. There are even slots designed in the theme of popular movies and TV shows, including Game of Thrones and The Dark Knight. In case you prefer live dealer games, you will definitely enjoying roulette, baccarat, and blackjack live dealer games online. This casino offers you a chance to get the most real-life gambling experience by connecting you to a real croupier through a live chat. Upon entering the casino you will see all games arranged in categories, where you can find the suitable game based on the average rates and payment statistics. All games are divided into Hot and Cold, which means you have even wider opportunities for choosing the game you want to play. Fans of table games will easily find the necessary game thanks to the clear way they are arranged. Plus, with two separate categories for Blackjack and Roulette, you can explore absolutely new ways to enjoy familiar gambling titles. Other table games include Baccarat, 3 card poker, craps, and flip card. Of course, the number of table games on offer is lower than slots or video poker, but there are still plenty of games to choose from, which is why you’ll always find a new way to play with your Canadian Dollars online. With super realistic graphics and engaging gameplay, it’s no wonder that Jackpot City Casino games are so popular in Canada – they give every Canadian a chance to experience live gaming without leaving the comfort of their own homes. All players who are signing up for the Jackpot City Casino game receive a welcome bonus of a 100% match of your first four deposits, with a maximum of C$ of 400 per deposit, or C$ overall. As any online review of this casino shows, players also get a variety of other bonuses that you can receive access to as you play from your personal account section. The VIP loyalty program offered by the Jackpot City Casino is a basic yet effective one. You deposit real money to play any game you like, and when you win enough games and get the necessary amount of points, you can convert them to cash. Play along, and soon you will receive a VIP status, which will give you a number of gambling opportunities, which includes free spins, extra credits, and access to exclusive offers and promotions. Jackpot City online casino players will be happy to learn that loyalty points and bonuses earned throughout the game can be used not only on desktop casino, but also in the mobile version of this online gambling service. All bonuses that can be spent on a game are contained in the user’s Canadian online gambling account and can be used whenever you decide to play online, whether you prefer the mobile or the desktop version of the game. Overall there are four loyalty levels you can achieve in Jackpot City online casino. These levels start at Blue, but the top two levels, Platinum and Diamond, are only available to VIP players as you need to have a large amount of points to move to those levels in the game. Moreover, regular players have access to the Promo Calendar, which has new game promotions and bonuses every month. If you make sure not to miss any promotions, you will be rewarded by various bonuses and ways to make your favorite online game even more exciting. Remember that the Jackpot City Casino offers change monthly, so there is always a new chance to get some brand new gambling experience. Canadian Dollar prizes and bonuses are waiting for you in every Jackpot City Casino game. Any player, who wants to play an online game from time to time, whether it’s on desktop or mobile, feels much more confident when there is a helpful online customer support service in his favorite casino. Luckily for Jackpot City Casino players, this gambling service has a highly competent customer service available online 24/7. A single press of the chat button will connect you to a customer service representative, who will be happy to address your questions. Users who prefer to play on mobile can also take advantage of the customer support service. If you like to resolve issues in the old-fashioned phone way, you can use your mobile phone to get through to customer support, which is available in 11 different languages, which means that Canadian players will effortlessly find answers to their questions. Note that working hours of the customer support depend on the country, so, if you’re based in Canada, the hours when customer service is available may be different to other countries. After you sign up to the online casino, you will receive access to other ways to contact customer support online – for example, through email. As it’s probably already clear from this review, we absolutely love the Jackpot City online casino. As professional online casino review writers, we get to play one game after another in dozens of casinos, so we definitely know what we’re talking about. We have extensive criteria for judging an internet casino, and the Jackpot Online Casino has excelled in nearly every regard. If you’re looking for a reliable Canadian online casino, where you can play any game imaginable, both on desktop and mobile, the Jackpot City Casino should definitely be your top choice. As nearly the oldest online casino, the Jackpot City Casino was the first gambling service to introduce a number of brand new features, from 24/7 customer support to the live chat functionality. These services make it easy for Canadian players to instantly get the help their need. Whenever you decide to play your favorite game, whether it’s on desktop or mobile, and run into any kind of difficulties, you can rest assured that your concerns will be resolved by the knowledgeable online support, and you’ll be able to go back and play the game in no time. Thanks to having a comprehensive customer service, the Jackpot City Casino is trusted by thousands of users based in Canada who now have a reliable place to play their beloved game. Depositing money in the game is also simply a breeze. When you’re ready to play a game, the Jackpot City Casino has numerous deposit options, familiar to every Canada-based player, that are also available on mobile. Moreover, the generous starting bonus and various promotions are another reason for Canadian gambling fans to choose the Jackpot City Casino as their go-to gambling service for the time when they want to play a casino game on their computer or mobile device. Extensive mobile gambling opportunities attract more and more players who value the mobile version of the Jackpot City Casino for having every kind of game available to play at all times. If you need more reasons to play the Jackpot City Casino mobile version, you need to know that it has a number of exclusives available to mobile players only. Choose your favorite game on mobile or desktop, press play, and dive into the world of online gambling. Do I need to download the game to be able to play it? Microgaming software, which the Jackpot City Casino is based on, allows every player to choose the way he wants to play the game. Every game is available for download, but if you want an even more hassle-free gaming experience, you can opt for the browser version of your favorite game. The same goes for the mobile casino: you can either download the game as an app, or play the mobile version online. Yes, the Jackpot City Casino has a neat no-download version of every game. They offer full functionality and even have additional features that are exclusive to the online game, including customer support, game categories, and a cashier. What is the most popular Jackpot City Casino game? When we worked on our review, we found that the most popular games to play both on desktop and mobile casino are Tomb Raider, Mega Moolah, Thunderstruck II and Ariana – in other word, slot games take the first place. Moreover, blackjack and baccarat are also very popular games to play, largely because they provide a better chance of winning. Mobile gambling is becoming very popular among Canadian gamblers, and the Jackpot City Casino offers a comprehensive solution for playing on a mobile device. Now you don’t need to be stuck at home to play your favorite game – the mobile casino is the most convenient way to get your gambling. Just download the app to your smartphone and dive into the world of betting. Plus, you can download numerous apps with the most played games and enjoy gambling in a completely new way. The mobile version of the games is compatible with every mobile phone brand and model. Yes, Canadian Dollars are available as an in-game currency, which you can choose when you’re setting up your account. There are also the most popular currencies, like USD and EUR, to choose from. Normally the payouts take up to five days regardless of which payment method you prefer, although often don’t take longer than two working days. However, you need to be prepared for the first cash out, which can take longer due to the details of your account, as well as payment information, being verified by the service. All following withdrawals will happen much quicker. There is an opportunity to play for free, but you’ll still need an account. After you finish creating the account, you will see the complete selection of games with most of the titles having a “Play for fun” label next to them. These games are available to play both on desktop and mobile completely free of charge.